Biographical Summary: Geoffrey D. Smith has over 34 years of attorney experience in the areas of health care law, administrative law, environmental law, general civil litigation, and corporate law. 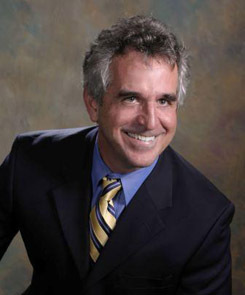 Prior to entering private law practice he served as a senior counsel for the Florida Department of Environmental Regulation, and was a founder of that Agency’s complex litigation team. He was a partner in the law firm of Blank, Meenan & Smith where he practiced for 15 years, before founding Smith & Associates. He is an “AV” rated attorney with Martindale-Hubbell. Change in Ownership (CHOW) proceedings General Legal Representation of Hospitals, Hospices, Nursing Homes, Home Health Agencies, Assisted Living Facilities, Pharmacies, Physicians, Nurses, Pharmacists, Dentists, and other health care providers and professionals.